PARLIAMENT – Legislators on the Health Committee have called for shift in Government policy of enrolling all its health facilities on the prepaid Yaka power system, saying the system as it is risks putting lives of patients in jeopardy. The request was made today when top officials of referral hospitals were meeting with the Committee to present their national budget framework papers for 2019/2020, where the hospital administrators raised a number of challenges and gaps they are facing. The administrators in Moroto and Kabale referral hospitals decried the high utility consumption challenge whose budget is meager and is worsened by the rampant power outages in their districts, which has seen them rely on generators for the better part of the year. The hospital administrators also decried the shortage of staff especially specialists in different fields, something they say has discouraged the junior staff from taking up jobs in upcountry hospitals as they have no specialists to train them. Health officials from Moroto referral hospital highlighted the high bills of fuel used in generators as units on yaka are finished and this raised concerns from mps on why such big hospitals are supplied on yaka basis whose money come on a quarterly basis instead of them being connected on industrial lines whose power are not meant to go off. 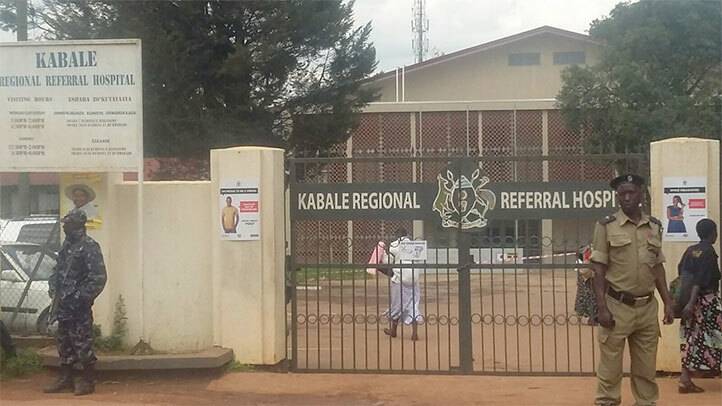 In a related development, Sarah Opendi State Minister of Health (General Duties) has denied reports by fellow MP, Lutamaguzi Ssemakula that children have lost their lives at Uganda Cancer Institute due to the absence of blood and oxygen at the facility. While responding to the allegations, Opendi told Parliament that the Cancer Institute has adequate quantities of blood save for blood group O which is missing at the cancer institute.